Puppies of Russian Borzoi for the show, coursing and for the soul are waiting for you !! Puppies are from Inter Champions, male and female, age 5 months. Full vaccination. Our Russian Borzoi dogs for a walk in the city. Breeds, beautiful - for shows, coursings and for the soul. A beautiful Russian Borzoi for you and your family !!! 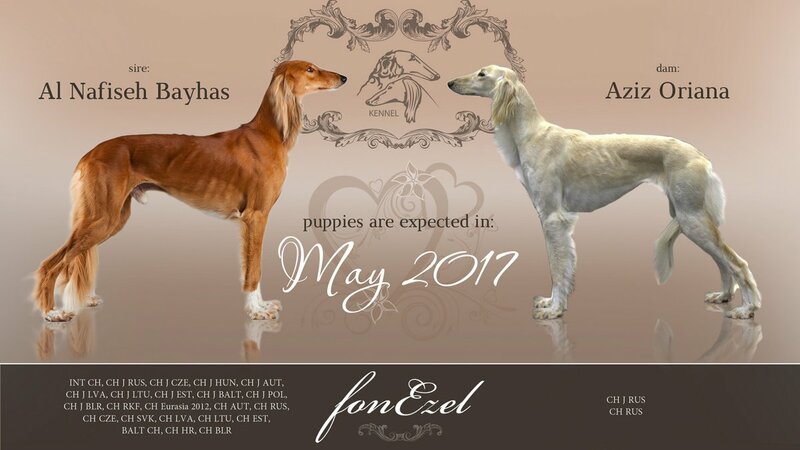 The kennel offers for sale puppies of the Russian Borzoi and Persian Greyhound (Saluki). Our offers are in the section «Puppies». In our kennel you can buy beautiful Saluki puppies. Breeds, beautiful parents - bright representatives of the Persian greyhound. There are puppies for sale: male and female, 3 months.